How does the tooth whitening system work? 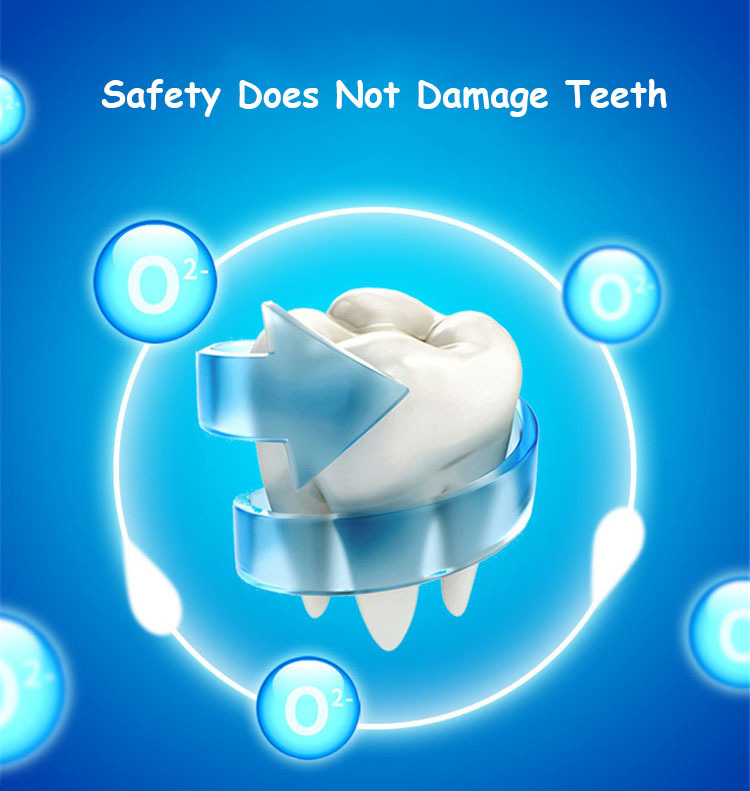 The Personal Teeth Whitening Kit is a safe and effective system using advanced cold light technology and a low hydrogen peroxide hydrogel. This combination is intended to oxidize stains on teeth, such as red wine, coffee, tobacco, etc., without affecting the core matrix of natural teeth and gums. How white your teeth become depends on the original state of your teeth. If you have experienced tooth discolouration due to Tetracycline or Dental Fluorosis this can affect the ability for your teeth to be whitened. The Teeth Whitening System is an at home maintenance kit, once you are happy with the colour of your teeth you can choose to whiten again whenever it takes your fancy. Perfect for when you need an extra sparkle before a special event! 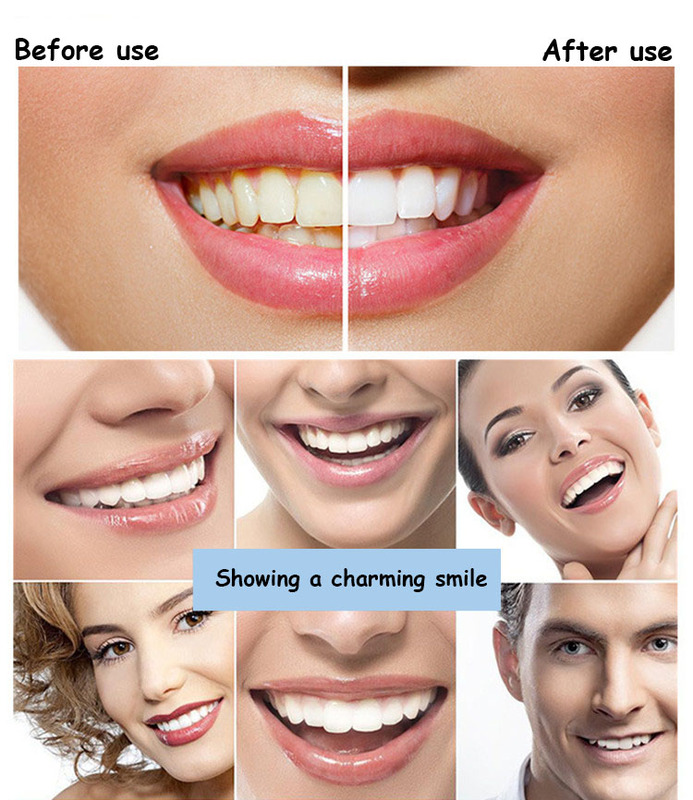 Step 1: Brush teeth before whitening, clean the dirty and water in teeth surface with teeth wipe or paper. 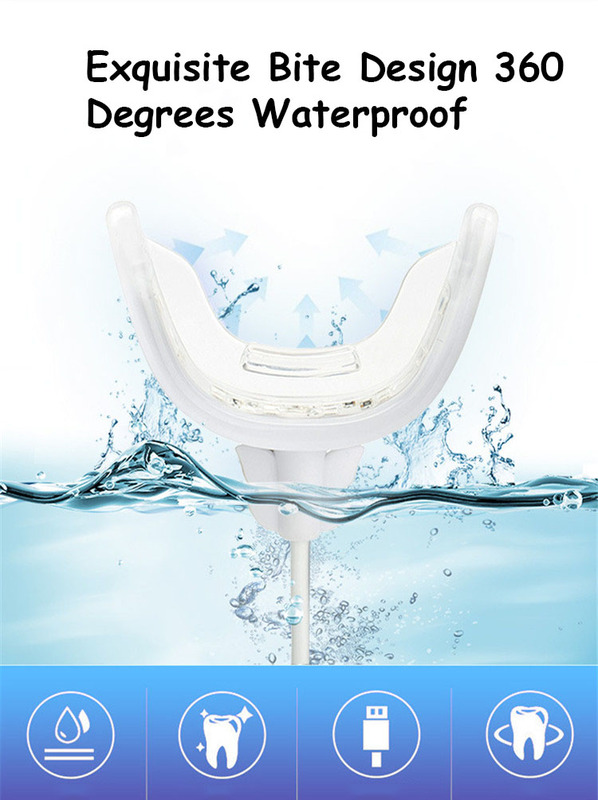 Step 2: Wash the led light with warm water and clean the led surface water with paper. Step 3: Connect the led light with cable. 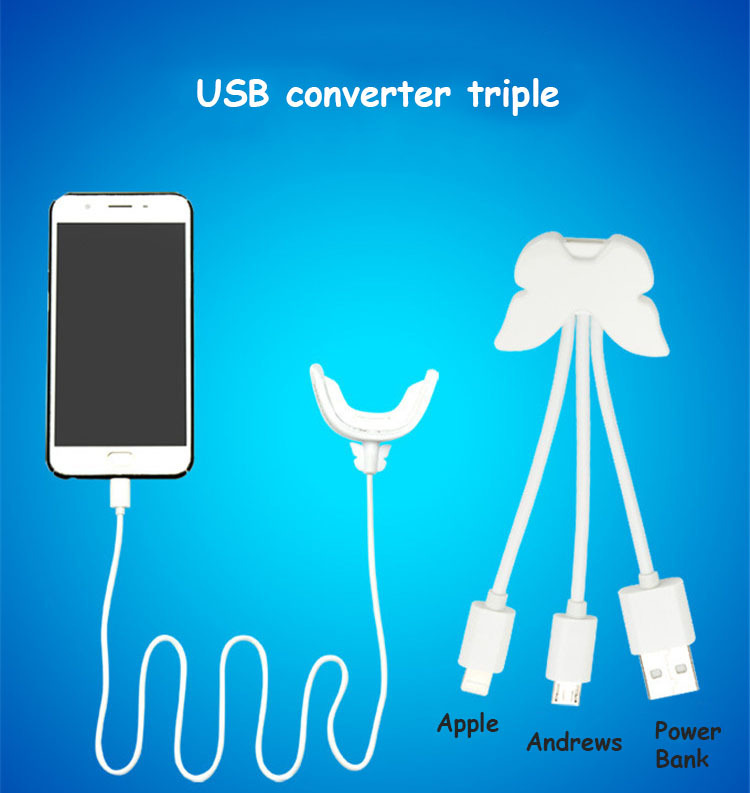 It can connect Android (OTG System) phone, IOS system, and computer, outlet charger, etc. 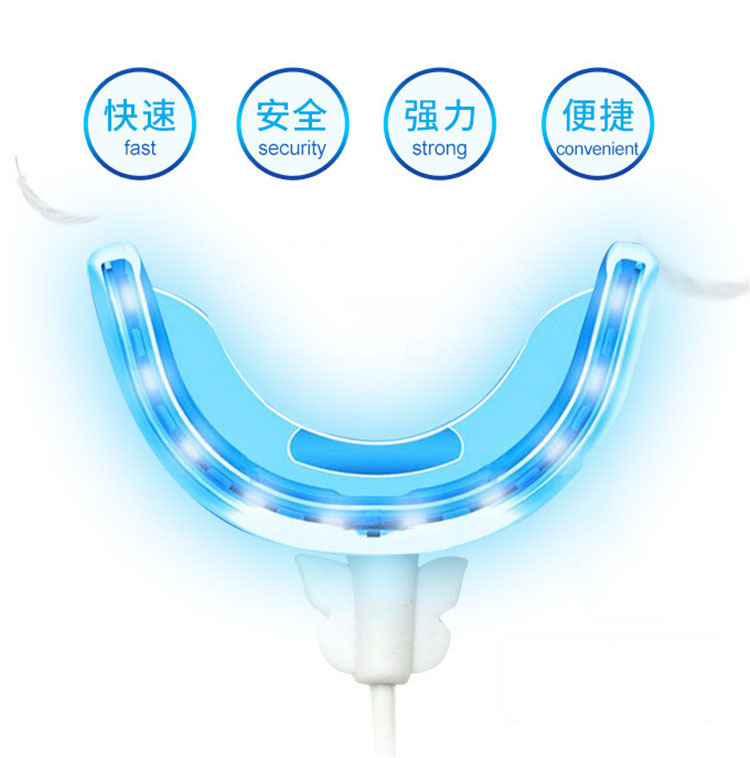 When it connect well, the led light will give out shine blue light. Step 4: Daub about 1ml teeth whitening gel evening on both side of the led light(or daub on teeth directly), then put in mouth, lightly bite the led light with teeth. 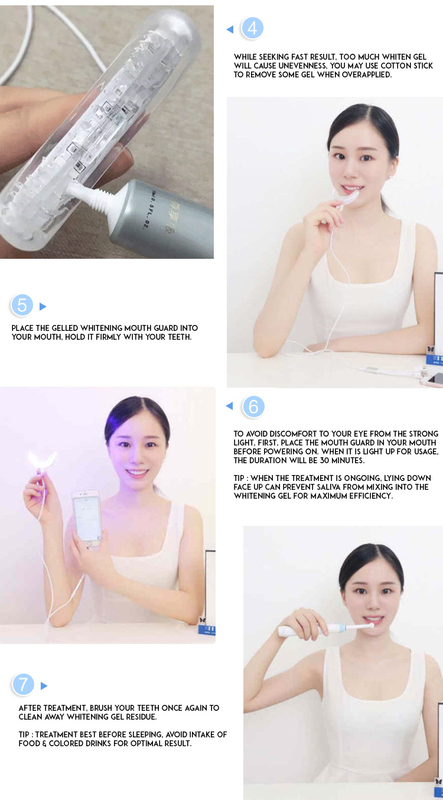 Step 5: After 30 minutes, whitening finish, get out of the led light, if no sensitive reaction, can do twice one day to improve the effect.